“Our constituents daily suffer the disruptive and unhealthy effects of the implementation of the flight procedure changes," the group of Maryland leaders wrote in a letter dated Friday to the FAA. 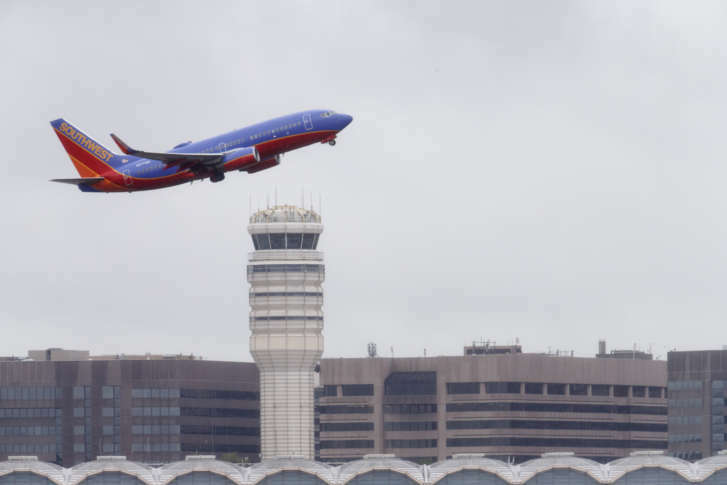 WASHINGTON — Following years of complaints about increased airplane noise in the region, a group of Maryland leaders is demanding that the Federal Aviation Administration act quickly to examine noise that is generated by departing and incoming flights at Reagan National Airport in Virginia. Residents have complained about noisy planes since 2015 when the FAA made changes to air traffic patterns. “Our constituents daily suffer the disruptive and unhealthy effects of the implementation of the flight procedure changes,” the group wrote in a letter dated Friday to the FAA. Among those who signed the letter are Reps. John Delaney and Jamie Raskin; both of Maryland’s senators; and Montgomery County Executive Isiah “Ike” Leggett. In the letter, the group demands that the FAA conduct a thorough review of airplane noise and provide a timeline, before June 1, detailing how long the review will take. “We look forward to your prompt attention to our request,” the letter states. The FAA said the satellite-based technology is more efficient and saves fuel, but residents living in parts of Maryland, Virginia and the District have said the changes make airplane noise unbearable. Federal and local officials have worked with concerned community members to find a resolution. Last year, D.C. Delegate Eleanor Holmes Norton said she wrote a letter to the FAA supporting a citizen group that is pushing for change. The FAA may eventually make slight changes to flight patterns, but Mould warned that any change would take a while to implement. “It is a very complex, technical process,” he said.